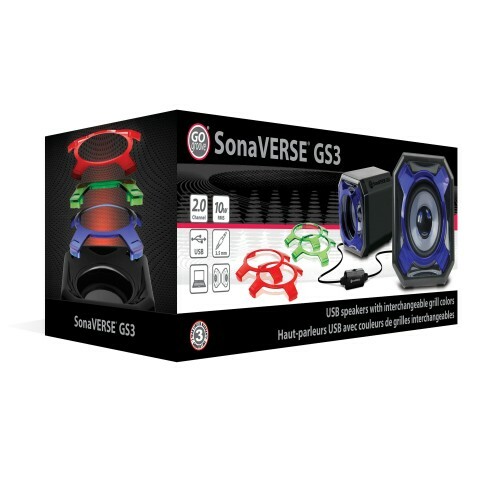 GOgroove SonaVERSE GS3 USB Computer Speakers are equipped with over 20 Watts of Peak power,5W drivers, and 60mm bass radiators that will bring a booming sound to any room. 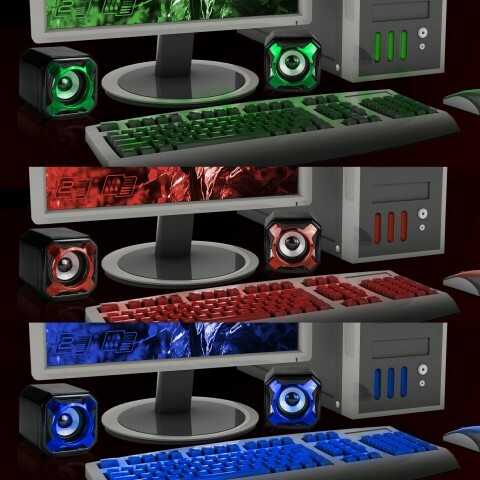 Having a computer setup with matching colors adds style and flare when you’re playing. 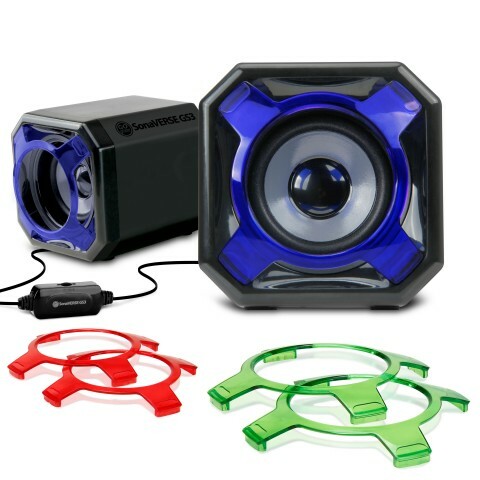 With that in mind, the GS3 speakers come with three interchangeable grills that can match multiple displays. 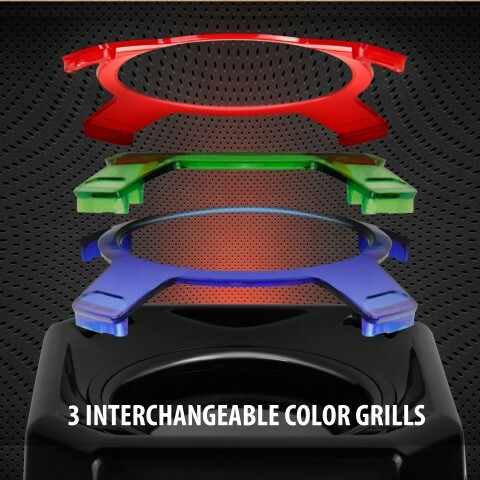 The 3 detachable acrylic grills come in Blue, Red and Green so anytime time you feel like changing colors, simply pop one set off and put on another! 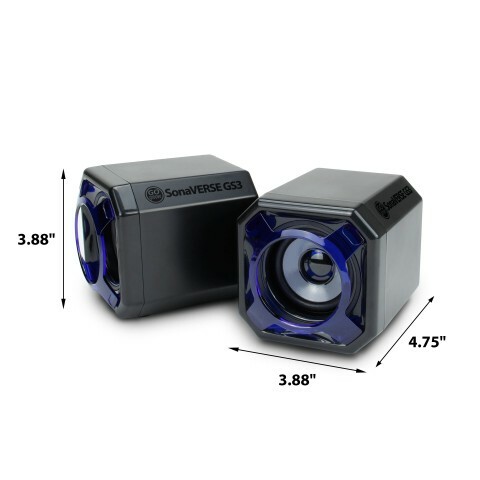 With over 20 Watts of Peak power, the GS3 speakers are sure to pack a punch during your favorite first person shooter game. 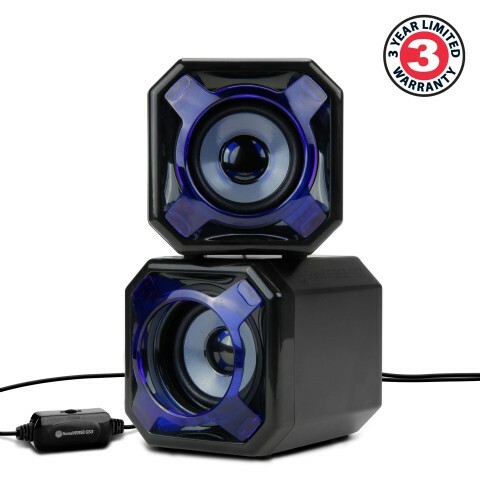 Each of the satellite speakers come equipped with 5W drivers and 60mm bass radiators that will bring a booming sound to your room. 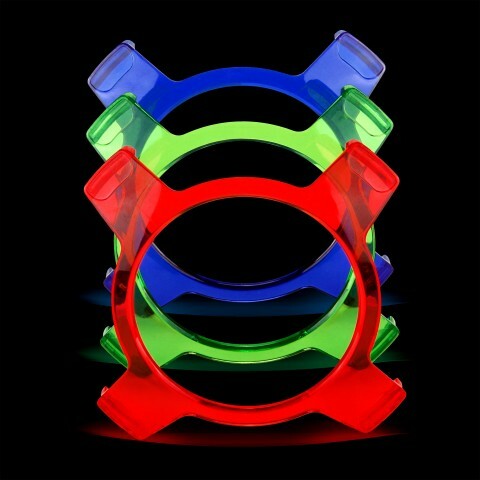 Guaranteed to keep you on your toes! 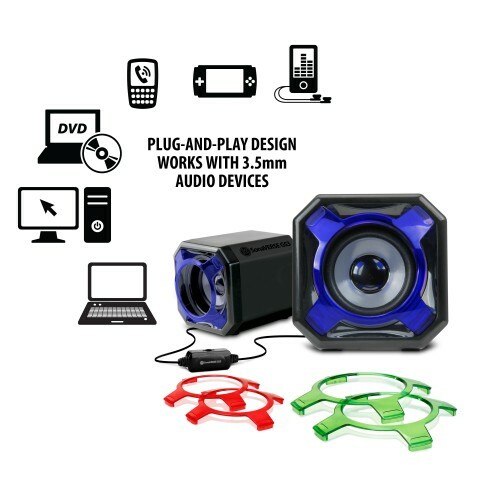 These USB speakers make for an easy setup. 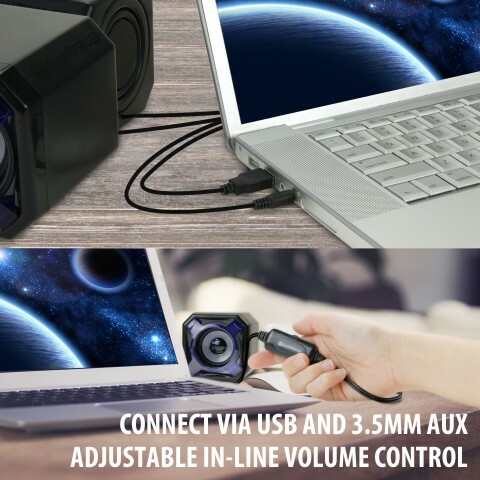 Connect the USB plug to the port on your computer and the 3.5mm AUX to the headphone jack and turn up the volume! No installation required, hook it up and start gaming. Need to adjust the audio levels on a quick notice? Don’t worry, the easily accessible in-line volume control lets you turn the sound up or down on whatever you’re playing or listening to.